Floral Circle Birthday Card – quick & easy to create. I don’t know about you, but a day without creating something, however small, is a wasted day! 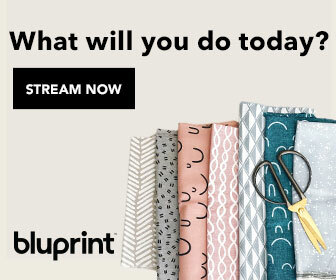 That being the case I like to have some small projects that I can start and finish in an hour or two for those days when the rest of life – shopping, cleaning paperwork etc. – demands my time. I discovered the SGV files for this card on SVGCuts website and downloaded them into my quick projects computer file. Do you have a file for those SVG’s that you come across when browsing the internet? I can highly recommend having one, because I can usually recall the project, but not where I saw it! The Floral Circle Card is a very pretty card which can be adapted for any occasion simply by altering the greeting. I have put my own twist on the card by adding a band and circle inside for the greeting, I felt it was a little bare and plain with just the greeting and nothing else. So here’s how I created my quick and easy floral circle card ……. 1 Download the SVG files from SVGCuts website CLICK HERE to access the site and files. It is currently on page 4, but might get moved at any time so here is an image of the file you are looking for. Look for this picture on the Free SVG’s section of the SVGCuts website, click on the picture and you’ll be there. 2 The files are all zip files so you’ll need to unzip them before you can load them into your die cutting machine. I understand that these files will work with these machines. 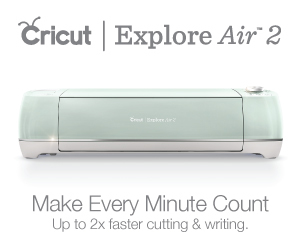 I have a Cricut Explore Air 2 and it worked beautifully with that. 3 Load them into your machine, I decided to cut the flowers out of pink card not cream card as SVGCuts did. I didn’t have any ink pads of the right color to use on the petals so just left them plain. However this meant I needed to remove them from the mat shown in Cricut Design Space (they were placed on the same mat as the cream base card) and place them on a separate mat. On Cricut Design Space you can do this by clicking on the petals, then clicking on the 3 dots in the left hand top corner and clicking on Move To Another Mat. 4 I used a flowery scrap booking paper from my stash for the front, cream card stock for the main card, pink card for the blossoms and white card for the envelope. Once I had all the pieces cut out it was simple to put together. I used double sided tape to glue the patterned piece to the cream base card and glue stick to fix the green vine tendrils to the card front. A tiny snippet of double sided tape to the back of each blossom fixed them nice and securely with a small pearl embellishment fixed to the centre of each flower just made them pop. 5 Inside was a little plain so I used the cream circle that had been cut out of the base card, fixed a Happy Birthday sticker to the centre. I distressed inked the edges of a 1 1/2″ band of the patterned paper used on the front and stuck the circle to this. If I was making the card again I would also use distress ink on the edges of the circle – hindsight is marvelous isn’t it?! 6 Making sure the circle and band lined up with the opening at the front I used double sided tape to fix the circle and band. 7 The last item to make is the envelope, this is very easy and adds a touch of class to the card. You simply fold the two side pieces inwards along the scoring lines and glue, again I used double sided tape, the small flap upwards. This leaves a nice big opening into which to slide the card without crushing the blossoms. I am so pleased with this card and as my sister has a birthday coming up I shall send it off to her, I know she will be thrilled with it. She is also a crafter, her area of expertise is embroidery, I must get her to write a post or two about some of the lovely things she makes. Do go and look at all the inspiring projects on the SVGCuts website and have a go at making your own Floral Circle Card. Send me a photo of your card and I’ll add it to the post!